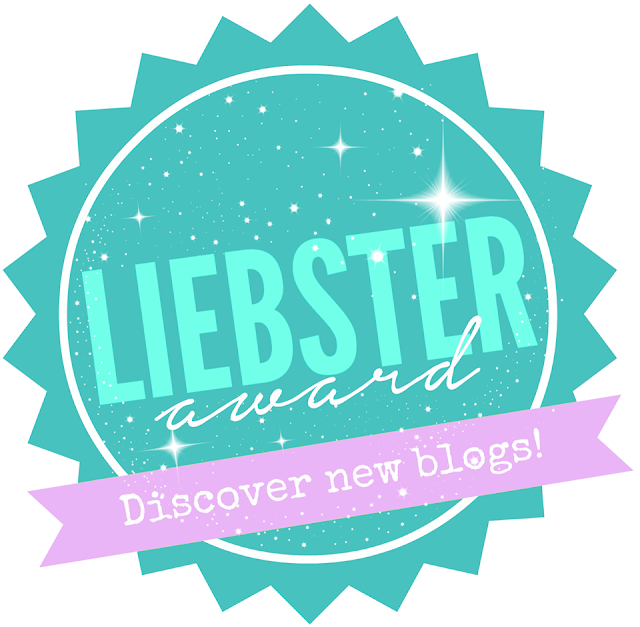 I have been nominated twice for a Liebster Award!! I got nominated for the Liebster Award. Thanks for the recognition! So, I have some exciting news (as you can already tell from the title/photo!) I have been nominated twice for a Liebstar Award, which is a first for me! I wanted to say a BIG THANK YOU to the two ladies that nominated me, Gabyy Furtado of alllthingsbeauty.com & Syeda Sara Hussain of www.facebook.com/myministash, be sure to check out both their Blog's. From my understanding, the Liebstar Award is a nice way of recognising and discovering newish Bloggers by nominating and sharing each other's Blogs. Nominate and link 10 bloggers (with less than 200 followers). Notify all the bloggers you've nominated. Create 10 new questions for your nominees to answer. 1/ Why did you start Blogging? After working from the age of 17, to then moving abroad with my husband in my 30’s and becoming a stay at home wife….I was encouraged by a good friend to start blogging about my recent travels/escapades and then it kinda of went from there. I would definitely say it has been a motivator for me and has got my creative juices flowing, the best thing I could of done! 2/ What's the best film you have seen this year? Ohhh, this is a hard one…..I have to pick two, sorry;) So far this year, the two best films I have seen were Mad Max and Spy. Mad Max for the action and Spy for the comedy! 3/ Best blog post you have read this year? Ahhh, this is another hard one, because I have read sooo many!! I have to go with the most recent which was a travel post by Eimear of Sparkle Side Up (whom I have nominated) www.cutetravels.com. I enjoyed reading her recent Bali post. Her personality really comes through in her writing and nice photo’s to go with the post, must check her out! 4/ Whats the best thing about the place you live? It’s hot all year round (which can be good and bad) and you can easily travel to other parts of Asia! 5/ What's the best vacation you have been on? I have been fortunate enough thus far to visit some amazing places. But I have to say, my “best” would be Fiji. I am honestly not being biased (being half Fijian;) other people I have spoken to that have visited Fiji say how much they love the place. Apart from the beautiful Islands, beaches, fresh fruit, it is the people that make the place what it is. I would recommend anyone to visit Fiji! I would say my hobby at this moment is writing this blog! 7/ What’s your most visited blog post? 8/ Who would you love to collaborate with? I would love to do a collaboration with my sister, we would have so much fun! She doesn't blog, but she is a Makeup Artist and does sewing on the side, she is a lot more creative than myself! 9/ If you were to have a conversation with anyone famous who would it be with? I am not really fame crazy, but if I had to choose someone it would probably be Angelina Jolie. I do think she is an inspiration to women, showing that not only can you be a wife, a mother to not just one child, whilst holding down a career and helping to raise awareness to the less fortunate with her UN work. I would want to know "How does she do it all"?! 10/ What’s your favourite blog that you follow? I don’t really have a favorite………..but, some of the blogs I do check out on a regular is “Rant in Review” for her Fashion ranti-in-review.blogspot.com. “Huda Beauty” for her beauty reviews hudabeauty.com and one blog I discovered on Facebook “Cocochic” she blogs about a mixture of things and writes posts on useful blogging tips http://www.cocochicblog.co.uk. 1/ Why did you begin blogging? 2/ Who is your biggest inspiration? This sounds sooo bad…..I don’t really have anyone. If I had to choose someone, then of course it would be my Mum & Dad, they are the ones that raised me and done their best by me. 3/ What's your profession besides blogging? I used to work in Fraud for the Banks (exciting) but now since moving abroad I no longer work:(. 4/ What are you struggling with as a blogger? I would say, keeping motivated as you are doing this on your own so you don’t have anyone else there to push you, you have to somehow push yourself. As I am still fairly new to blogging, I have lots of ideas for different posts, but then it is putting those ideas in to a post and I sometimes find myself over thinking the whole thing on how it’s written and how the photos should be displayed etc! 5/ What is your favourite quote? It’s actually on my About Me page! “Loose yourself completely, Return to the Root, of the Root, of your own Soul” – by Persian poet Rumi. 6/ What is your favourite series? I have just completed first season of Power and cannot get enough of it! If you ever watched The Wire, then this is similar. My perfect day would be going for a nice walk somewhere, taking in the scenery and then stopping off at café for a nice coffee and a slice of cake! 8/ What is your favourite shop and why? H & M is one of my favourite shops. I like it for it’s basic wear and I always find jeans in there that fit me nicely! My recent purchase was the Kevyn Aucoin The Sensual Skin Enhancer, which I use as a concealer. 10/ What are your must haves in your purse? Lip Balm, lip stick/lip gloss, wet wipes, pen, power bank, inhaler (for my asthma), antihistamine (I'm allergic to peanuts), phone, mini body mist, tissue, gum and I think that ‘s it…..sounds like I carry way too much stuff! Fewww all done I'm not going to lie some of that was hard to answer!! Be sure to check out their blogs too! 1/ What is the meaning behind your Blog Title? 2/ Why did you start Blogging? 3/ What keeps you motivated when Blogging? 4/ If you could only have 1 makeup item when you went out for a night, what would that be and why? 5/ What is your go to Fashion Item? 6/ What would be your dream job? 7/ Mountains and Snow or Sandy Beaches and Sun? 8/ Fashion wise, who are you inspired by? 9/ What song do you currently have on replay? 10/ Do you have a taste for sweet or salty foods? Cant wait to see your answers! !